O gauge, in general, is still one of the best size trains with which to introduce a potential rookie to model railroading. 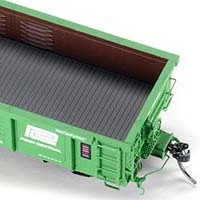 Both the size and rugged qualities of these traditional trains and tracks lend themselves well to the youngest of potential rail barons while, admittedly, the tech incorporated into the newest 3-rail starter sets provide an appealing multi-sensory experience to which the latest generation has already become so accustomed. 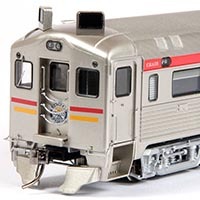 Rapido has captured the look of the Phase 1b SP-10 on the day it entered service, complete with pilots (panels to enclose the space beneath the couplers are included along with a bag of other assorted detail parts for modeler installation as desired), the train indicator boards, and even the Nathan 3-chime air horns. 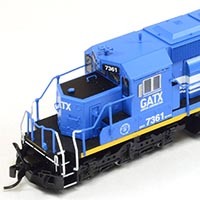 The new InterMountain Railway Co. N-scale SD40-2 diesel is a good looking model. InterMountain has taken the time to try to get details on these models right. 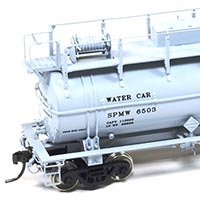 Southern Pacific modelers and collectors of interesting rolling stock will find these new HO scale brass imports from Albrae Models ideal. 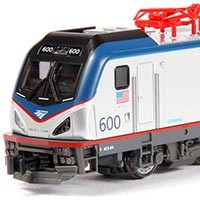 With the addition of the ACS-64 to Kato’s already impressive list of 1:160 scale Amtrak equipment, the passenger train-oriented N-scaler can easily keep pace with the ever-changing rail industry. Westerfield kits, by virtue of using molded urethane resin for most of their components, require a bit more experience and patience to complete successfully. The end result is a detailed, properly weighted and free rolling HO-scale model of a widely used, early 20th Century railroad stock car. 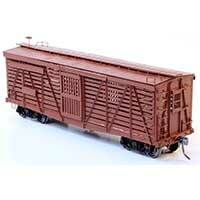 The Mini-Hy Cubes, while limited to only a few original owners, do represent a very colorful and interesting prototype that saw service across many different U.S. railroads and, therefore, are perfectly suited for inclusion in almost any consist dated from late 1967 through the 1980s era. 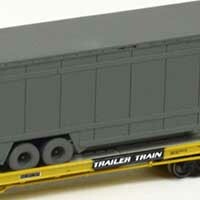 Athearn is releasing detailed new N scale models of TrailerTrain F89F flatcars and UPS 40-foot drop-frame trailers later this year. 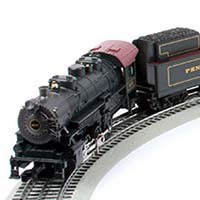 Railroad Model Craftsman gives you a sneak peak at these exciting new products for contemporary modelers. 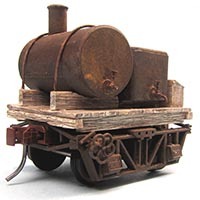 Tom Yorke has been producing exceptional O scale kits since the 1970s. 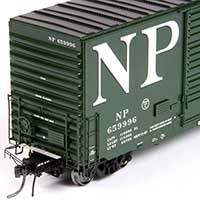 The reviewer found it interesting how easy it was to convert a non-scale item like the Lionel disconnect trucks into scale by simply converting the wheels and coupler. Tangent’s new G34 gondola, available in Pennslvania, Penn Central, and Conrail, would be right at home on nearly any North American railroad from the 1960s to the present.